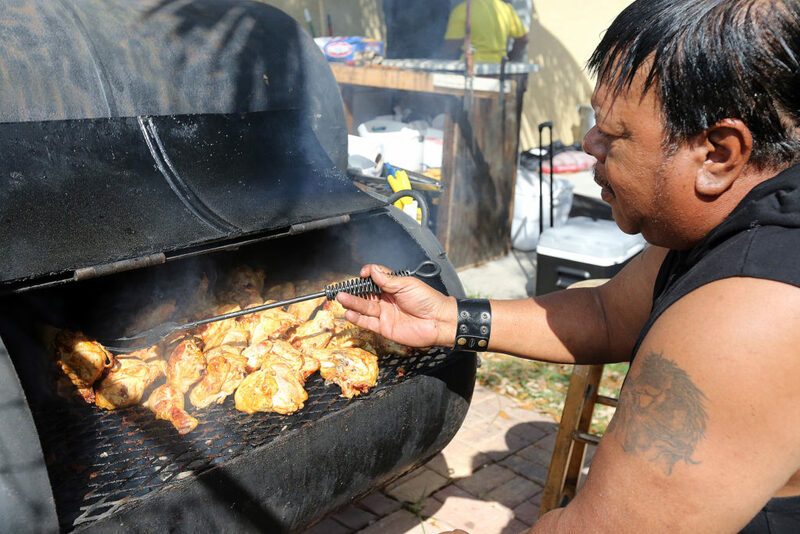 FORT PIERCE — After more than 15 years of being caterers, Tribal citizen Shamy Tommie and his wife Dr. Wanda Tommie’s vision of being restaurant owners came to fruition March 4. 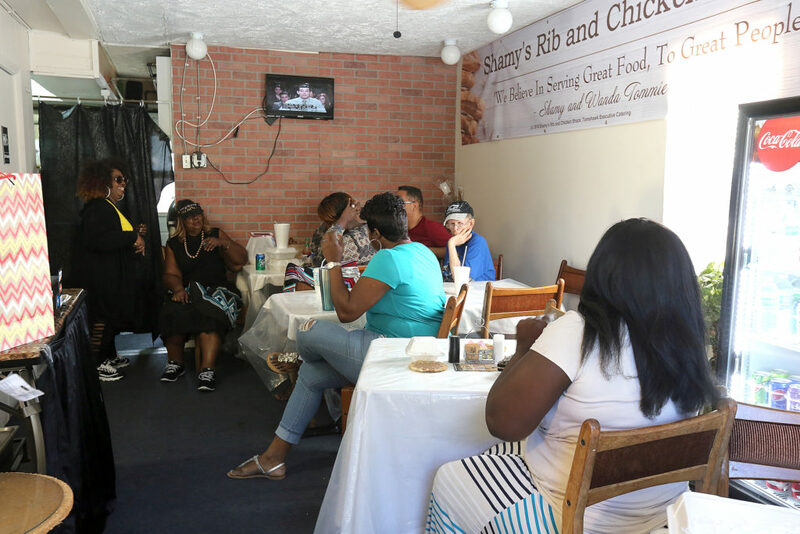 Over 300 close friends, relatives, and patrons attended the much anticipated grand opening of Shamy’s Rib and Chicken Shack to fellowship and feast on an array of dishes. 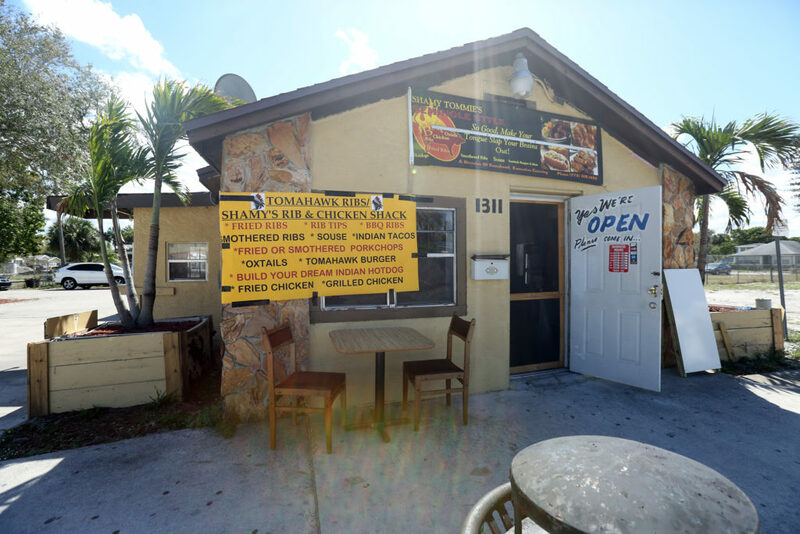 The process to open Shamy’s Rib and Chicken Shack began in October 2016. Located in the heart of Fort Pierce, renovations took place to transform a once drive-through venue into a full-fledged restaurant, which is located about a 20- minute drive from Chupco’s Landing, the Fort Pierce community’s reservation that is named after Shamy’s grandmother Sallie Chupco Tommie. As many as 35 people can be seated in the restaurant, and there is ample space for parking and dining outside. Within a few weeks, alcoholic beverages will be available. Due to their success and popularity as Tribal vendors – coupled with a passion for cooking – Shamy and Wanda wanted to expand their horizons as entrepreneurs. Over the years they discussed the idea of owning a restaurant, but did not act upon it until years later. Wanda stated that it has been a long time since Fort Pierce has had a restaurant that offers homemade types of food. Shamy’s Rib and Chicken Shack also differs because it is able to introduce a new culture of tastes to the community, she said. The menu consists of Native American and traditional soul food dishes such as Shack’s Meatloaf, Wanda’s Mac ‘N’ Cheese, frybread, and other popular choices such as rib dinners, collard greens, and potato salad. There are also specially made teas and desserts for guests to enjoy. Wanda mentioned that many of the foods offered on the menu are based on what people request. As co-owners, Shamy and Wanda work together to manage and operate the restaurant. They have lived in Fort Pierce most of their lives. After having spent many years working various professions in and outside of the Tribe, Shamy and Wanda, who is the head pastor at World Harvest Eagle Ministries, wanted to leave something behind for their family. 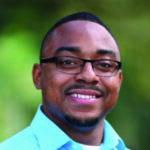 Family and culture are extremely important to Shamy, who is African-American and Seminole. His late mother is the Bird Clan’s Minnie Tommie Howard. He is the eldest of four siblings, who include Leona Tommie, Sallie Tommie and Larry Howard; all have been influential in their respective positions within the Tribe. Shamy is a distant cousin to the late former Chairman Howard Tommie. Shamy and Wanda will continue to be vendors for the Tribe. Their catering is available for weddings, baby showers, corporate parties and other events. No matter who and what he is serving, Shamy said he will always embrace his culture. Shamy’s Rib and Chicken Shack is located at 1311 Avenue D., in Fort Pierce. Hours of operation are: Wednesdays and Thursdays 11 a.m. to 9 p.m.; Fridays and Saturdays 10 a.m. to midnight; Sundays: 12 p.m. to 6 p.m. The restaurant is closed on Mondays and Tuesdays.